Receive updates and details on our upcoming sales and pre-sale information that will only be released via email. 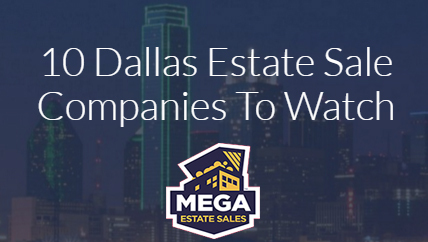 As one of the premiere estate sale companies in Dallas, Texas, and professional estate service provider, we take great pride in staging the items in your home to maximize the shopping experience for our customer. As Estate Liquidators in Dallas, TX, we at Remington Estate Sales strive to make your estate sale a fulfilling and successful venture for you and your family. The Remington Estate Sales Team is committed to maintaining the highest integrity when conducting your or a loved ones sale. Whether it's furniture, art or jewelry Remington Estate Sales can help alleviate the stress that comes with having to make the decision whether to keep or sell. We are there to make this often cold and trying time a manageable process. To say that my wife and I were ecstatic with the results is a gross understatement! We have struggled to find words and decided to simply say, "If you are going to have an estate sale for any imaginable reason, CALL REMINGTON as fast as you can!" Jose, Stephen and Georgette are an extraordinary team that conducts themselves in a most courteous and professional way we've ever seen, And, the team of assistants they bring with them is the same. The respect they show for your home, and your items is exactly what should happen, wherever they learned all this, they surely were great students. From the opening bell to the early closing because they sold out was nothing short of WOW! Even with a closed sign clearly visible the door kept knocking with people trying to get in. It is no wonder that they have built a tremendous following week after week. Once again, if you need any service of this kind, CALL REMINGTON ESTATE SALES. Listen to our interview on CBS Radio, Texas Road Trippin' with JD Ryan!